You never really know who’s holding on to a NASCAR grudge until the next race. 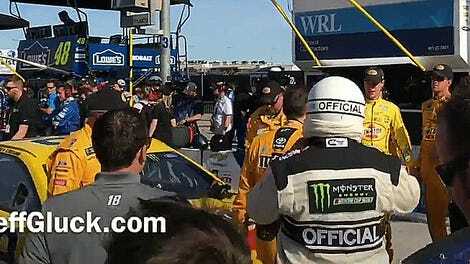 Given how Kyle Busch isn’t really commenting on his make-nice chats with NASCAR officials and Joey Logano following last weekend’s fight, I’m not sure those talks accomplished much. Clearly, we need the “I Love You” car again. 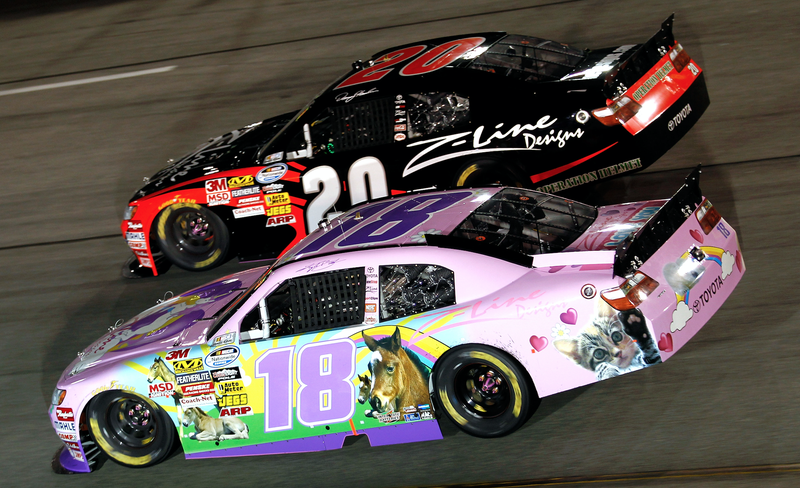 In 2010, Busch donned a pink suit and matching livery covered in butterflies, rainbows and baby animals for a promotion Toyota was running to let fans design his car. I find their promotion-for-the-promotion livery rather soothing, like Lisa Frank if she took a chill pill and muted a lot of the neons. How can you stay mad with those big baby kitty eyes looking up from your chest? Or with “I Love You” written in big letters across the spoiler? Couldn’t we all use a reminder to love one another?